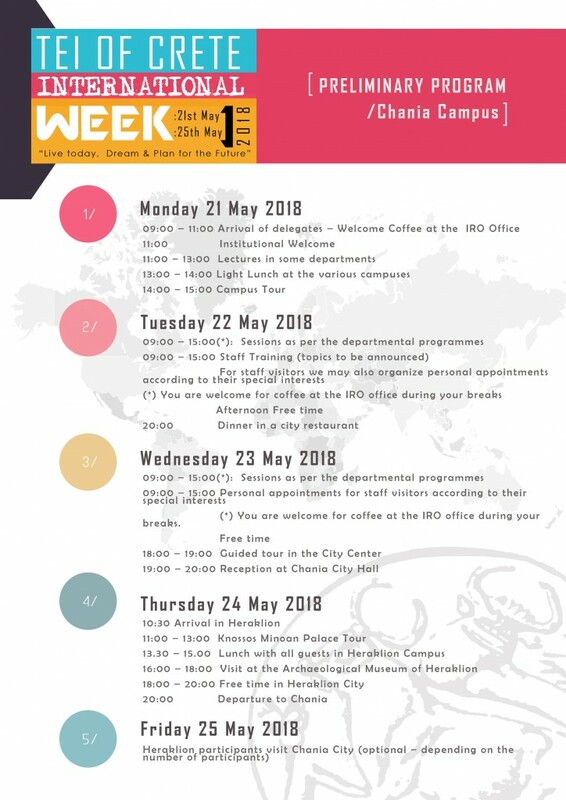 The programme will consist of interactive workshops or lectures or seminars by our international guests, which may be taught a number of times to different groups (8 teaching/contact hours according to Erasmus Staff Mobility Agreements are requested). Lecturers and teaching staff from our partner institutes are asked to teach our bachelor students about their subjects in our 5 Schools/Faculties under the Erasmus Staff Mobility Programme so that our students will get a true internationalization experience. This could include focusing on general background and cultural differences. During the whole programme, there will be many networking possibilities with students and colleagues. Classes are taught in English. 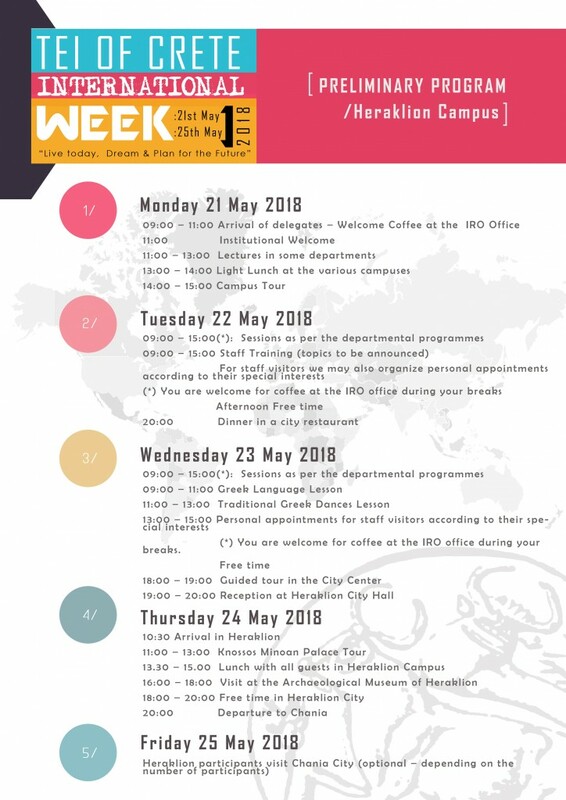 There will also be opportunities for networking and socializing, including guided tours to Knossos Minoan Palace and Heraklion Archaeological Museum. 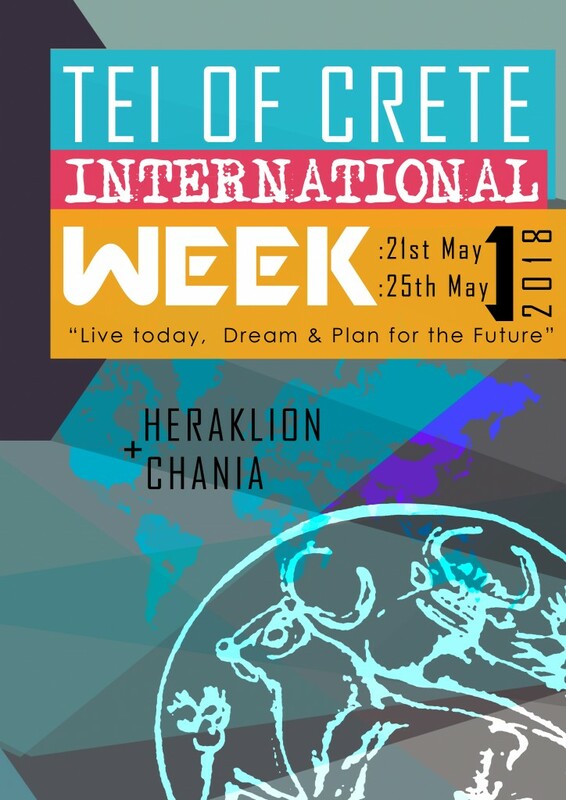 We very much hope to be able to welcome you to the TEI of CRETE, University of Applied Sciences. Visitors from European union partner countries can register here. Visitors from non-European union programme countries can register here.